The RED WHITE AND WHO crew is BACK at CONsole Room 2018! Five of the six authors – Steven Warren Hill, Jennifer Adams Kelley, Nicholas Seidler, Robert Warnock, and John Lavalie – will be at the convention to talk about their book and will have copies on hand to purchase throughout the weekend. 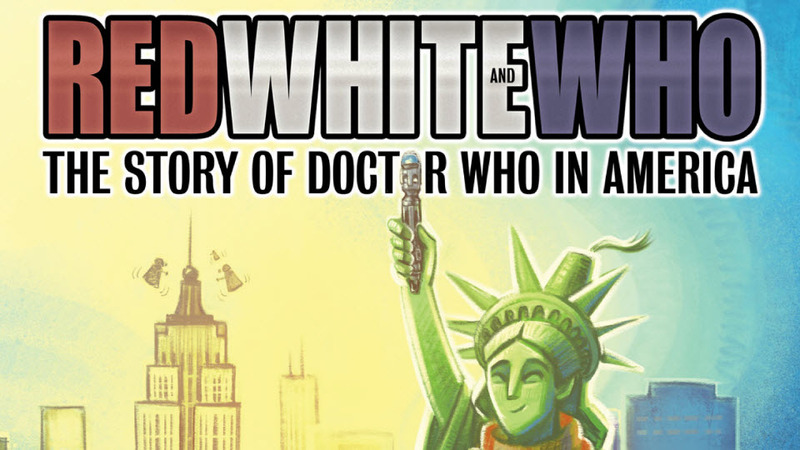 Red White and Who: The Story of Doctor Who in America covers the rich history of everything DOCTOR WHO in the USA—from American TV Guide listings of Canadian broadcasts in 1965, through the Dalek movies, the early struggles of the Public Broadcasting System, the BBC sales attempts, the official debut on American television in 1972, the explosion in popularity among US viewers in 1979, the twentieth anniversary celebration in 1983, the conventions, the books, the merchandise, the fan clubs, the video releases, the games, the USA Tour, and every imaginable fan activity including cosplay, fan films and audios, PBS pledge drive volunteering, websites, podcasts, and much more, to the new heights of success, popularity, and fandom participation in the 21st century. It’s an enlightening and entertaining journey for everyone who admires DOCTOR WHO…and not just for American fans, but devotees around the globe. We are thrilled to welcome all five back to CONsole Room this year! Learn more about all of our guests at our GUESTS page.